Root canals are one of the most feared (and misunderstood) dental procedures. Despite the fact that they have a reputation for being exceptionally traumatic and painful, the truth is that root canals are actually an important tool in eliminating pain caused by severe tooth decay and infections, and for saving a badly damaged tooth from extraction. Dr. Gregory Hysong and Dr. Lynda LePore, the dentists at Colesville Dentistry offer a range of cosmetic and general dentistry services in Silver Spring, MD. When bacteria makes its way into the pulp tissue inside a tooth, a root canal is necessary to clean out the bacteria and remove damaged tissue to restore the tooth back to health. Once the tooth has been cleaned, the dentist will protect it with a crown. In some cases, a root canal is the only option available to save your tooth from extraction, which is actually a more painful and traumatic procedure. Repairing a damaged or severely decayed tooth with root canal therapy is also more affordable than other restorative treatments like dental implants should the tooth need to be extracted. 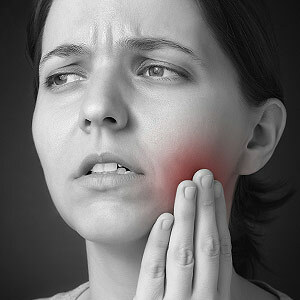 Pain, swelling, and signs of an infection may be a sign that you will need a root canal, however, the dentist will perform a checkup and take an X-Ray to determine whether it is necessary. If you do need a root canal, the procedure is fairly similar to getting a filling. A topical anesthetic is applied to numb the area and minimize discomfort, after which the dentist will drill a small hole to remove the bacteria and root. The tooth is then cleaned and sealed, leaving it as good as new. For more information about root canal therapy, contact Colesville Dentistry by calling (301) 384-6000 to schedule an appointment with Dr. Hysong or Dr. LePore today.